A Republican, and a Democrat. Two corrupt pigs in the pockets of the big bankers. Two men who failed America. WHAT ABOUT THE DEREGULATION THIS ADMINISTRATION HAS DONE. WHY ISN'T BUSH AND CHENY HELD ACCOUNTABLE? 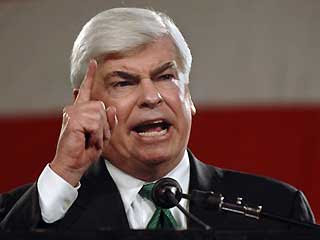 I still can't believe Chris Dodd was trying to run for President, what a joke. Will we ever see justice? Sorry but you're flat out wrong. I know how you try to appear balanced but the democrats were locked in the basement of the Capitol from 94 to 06 while the republicans trashed the country and deregulated us to hell. It's dishonest and beneath you to try and blame this on democrats. This has nothing but republican fingerprints on it. 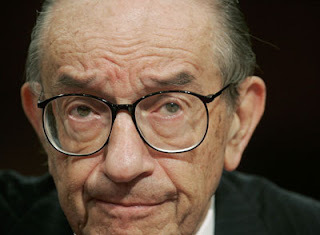 To understand what is happening you have to go back to who was responsible for it all in the first place...The EVIL ones...and the two words that caused it all..."Deregulation"..."Globalisation"...The insanity off free market' economics, or should that read GREED of the few at the expense of the many. The influence that Thatcher had over Reagan as regards economic thinking (or lack off) was key to todays events. "They really respected each other's views, and if that is not influence, I don't know what is". "Ian Gilmour served as defence secretary during Edward Heath's administration, before becoming Lord Privy Seal in Margaret Thatcher's first government"
"In September 1981 he was sacked by Mrs Thatcher and remained a prominent critic of what he regarded as extreme Thatcherite policies"
Comin' Down to save the mudder freakinworld, YEA!